SINGAPORE: Fruit peels can be used to reduce pollutants in water, according to researchers with the National University of Singapore. Their two-year study found that apple and tomato peels can reduce water pollutants including chemicals, dyes and pesticides, through absorption. 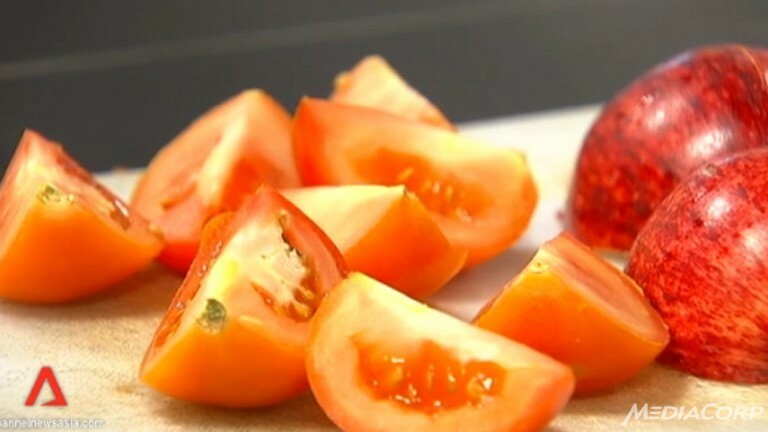 And peels from eight tomatoes can reduce toxins from a litre of contaminated water in about an hour. PhD candidate Ramakrishna Mallampati said the method can make drinking water safer for communities living in remote villages that rely on contaminated groundwater. He and his team-mates hope to work with non-governmental organisations to implement this low-cost water purification method. The group is also looking into the use of other fruit peels such as longan and durian while conducting pilot scale studies with large volumes of water.